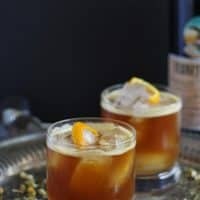 Looking for a new Fernet Braca cocktail? 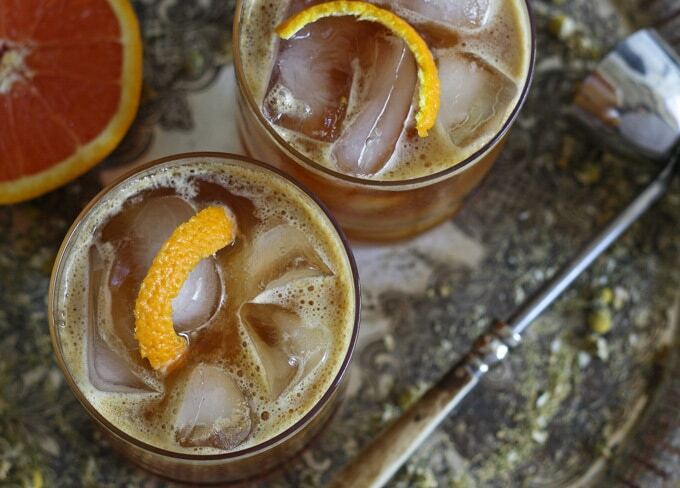 Try this Orange Italian Mule – an easy cocktail with an herbal variation on the moscow mule! Not long ago, I got the idea in my head that I was going to make my own bitters for cocktails. I couldn’t tell you why – I do enjoy an old fashioned here and there but that’s about it. I have my trusty bottle of store-bought bitters and I am usually good to go from there. Me and my crazy ideas. I have a collection of weird herbs and barks that are sitting in my office, waiting for me to find the time to start my bitters creating. 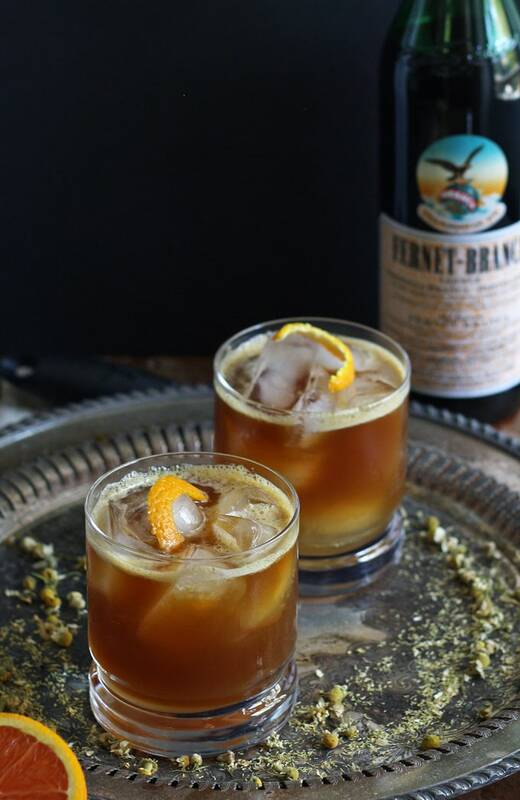 In the meantime, I’m going to get my herbal drink kick from Fernet Braca. I’ve heard it said that there is a food holiday for everything and that isn’t an exaggeration. 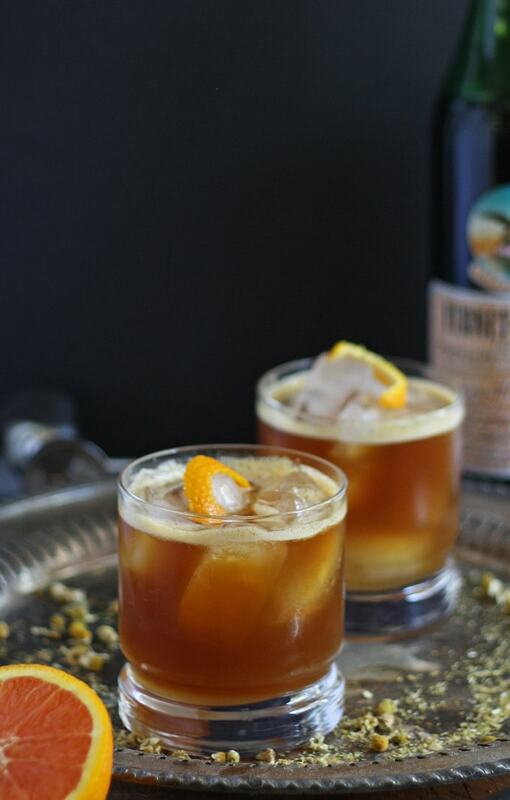 June 10th is National Herbs and Spices Day and what better way to celebrate than with a Fernet Braca cocktail. 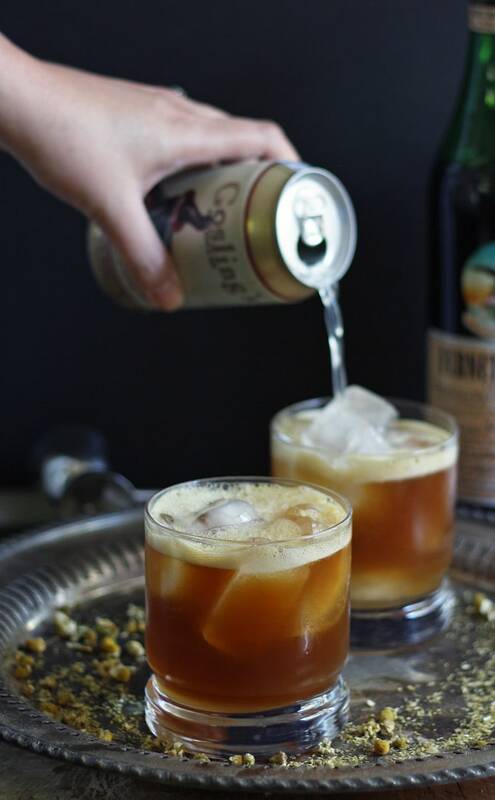 I love cocktail challenges so when I was asked to create a drink to celebrate Herbs and Spices Day using Fernet Braca, I said, “Sure!” Fernet-Branca sources more than 40 herbs and spices from 4 continents to create its iconic liqueur and is the perfect way to celebrate. Some of my favorite herbal flavors in Fernet Braca include chamomile, peppermint and gentian root. Chamomile has a calming effect and is used to help with insomnia and restlessness. Peppermint is useful in treating nausea, heartburn, headaches and the common cold. Gentian root you may not have heard of but I have a lot of it sitting in my office – its how I will be adding the bitter flavor to my homemade bitters. Gentian improves digestion and invigorates the appetite. Nature really works its wonders, doesn’t it? When creating my cocktail, I had a lot of flavors to consider when adding ingredients to my rocks glass. 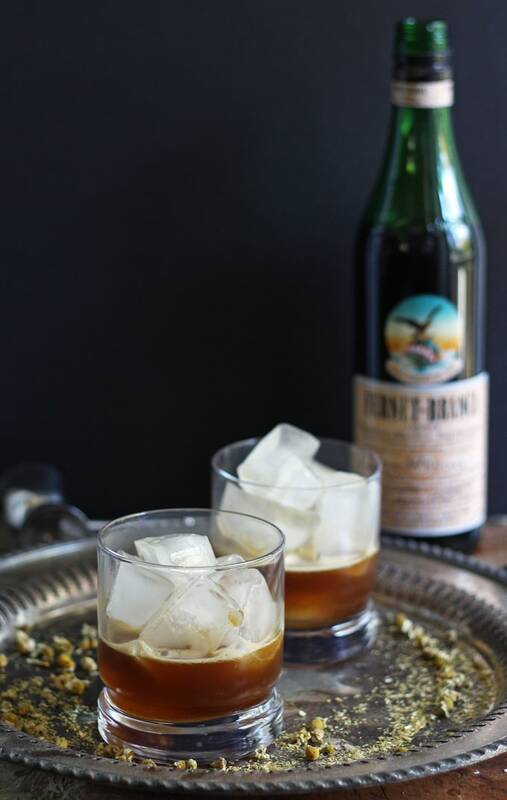 There is no mistaking Fernet Braca is an herbal liqueur upon opening the bottle. I could see many flavors clashing with its headiness. Orange was the first flavor I decided on. My aforementioned bitters are orange and it is a flavor that works well with all things herbal and bitter. 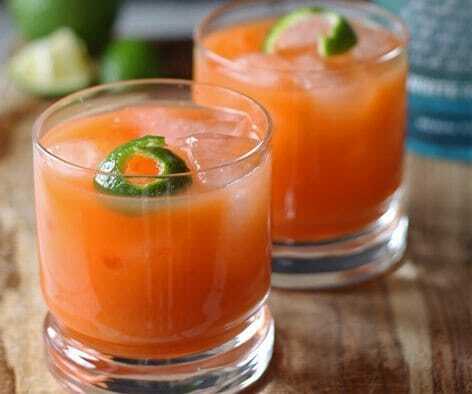 It is also in the citrus family and can replace the lime in the moscow mule easily. Ginger also will work well with Fernet Braca and has its own health properties. The moscow mule’s main ingredient is ginger beer. 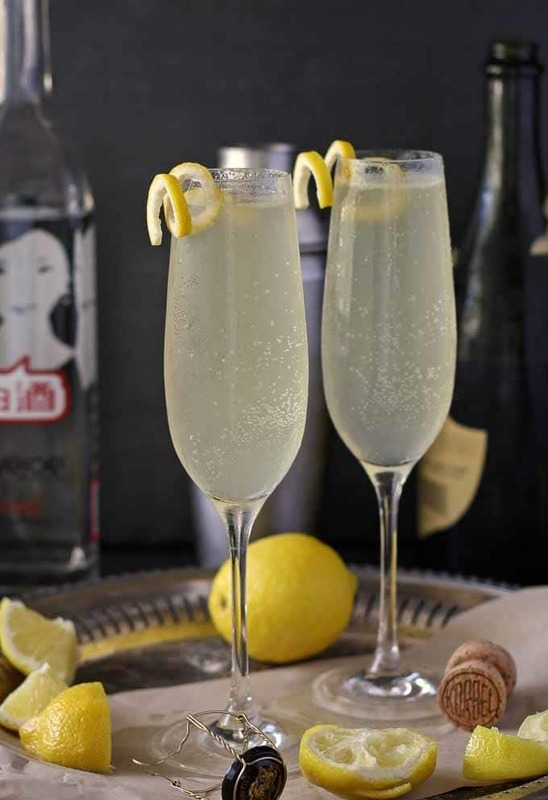 Why not use a classic Italian liqueur to create an Italian version of one of the most popular drinks? Looking for a new Fernet Braca cocktail? 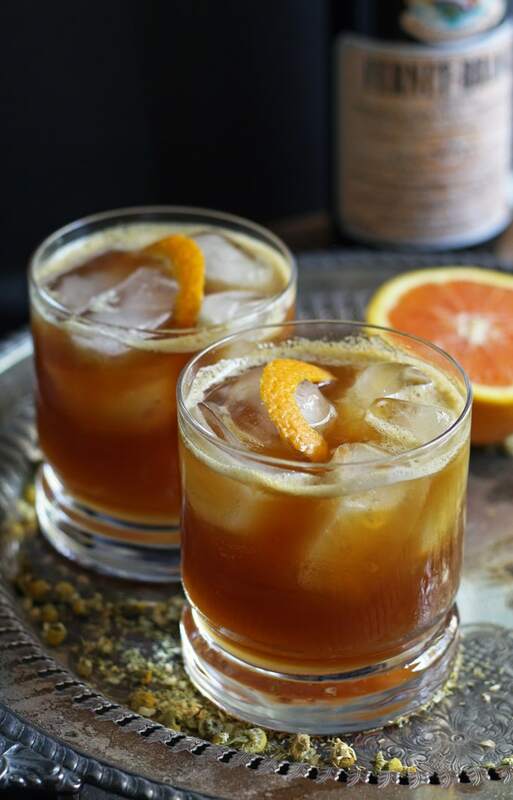 Try this Orange Italian Mule - an easy cocktail with an herbal variation on the moscow mule! Add ice, vodka, Fernet Branca, orange juice to a cocktail shaker. Shake vigorously. Fill a rocks glass with ice, then strain drink into glass. Top with ginger beer and garnish with orange zest. If using the sugar cubes, add the vodka, Fernet Branca, orange juice and sugar cubes to a tall glass. Stir until the sugar cubes are dissolved, then pour into a rocks glass filled with ice. Top with ginger beer and garnish with orange zest. Add sugar cubes if you're looking for a sweeter drink. or my rum, orange and carrot cocktail! Disclaimer: I received a Fernet Branca sample. Recipe and opinions are my own. I’m always looking for new yummy cocktails and this one definitely looks like an awesome one! This caught my eye right away at the Wonderful Wednesday Blog hop, as I just had my first Moscow Mule a week ago! 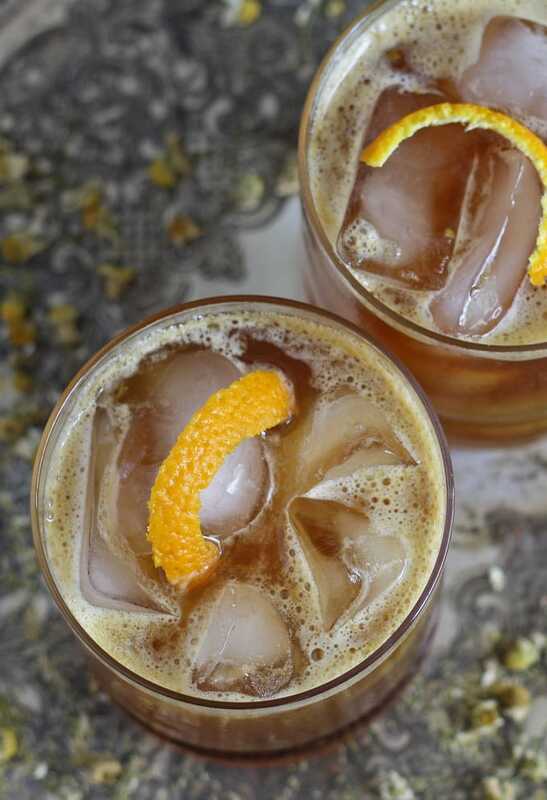 I love ginger beer – and your idea of putting this spin on the cocktail sounds both refreshing and unique. I cant wait to try it! Oh wow…this is very interesting, something I’ve never seen before! I keep wanting to try a moscow mule and keep forgetting. This one sounds even more delicious!! I’ll be saving this for later. I think i need to start a board on Pinterest for cocktails I can try while I’m at the bar. haha. Don’t forget it’s Thursty Thursday if you want to come and link up! Cheers!! OH YUM!!! I LOVE A GOOD MOSCOW MULE…so this will be right up my alley! And the pictures are STUNNERS! Lol, Thanks Mila! Come over for cocktails anytime!